Honey bees are a new adventure for my husband and I. They are absolutely fascinating! 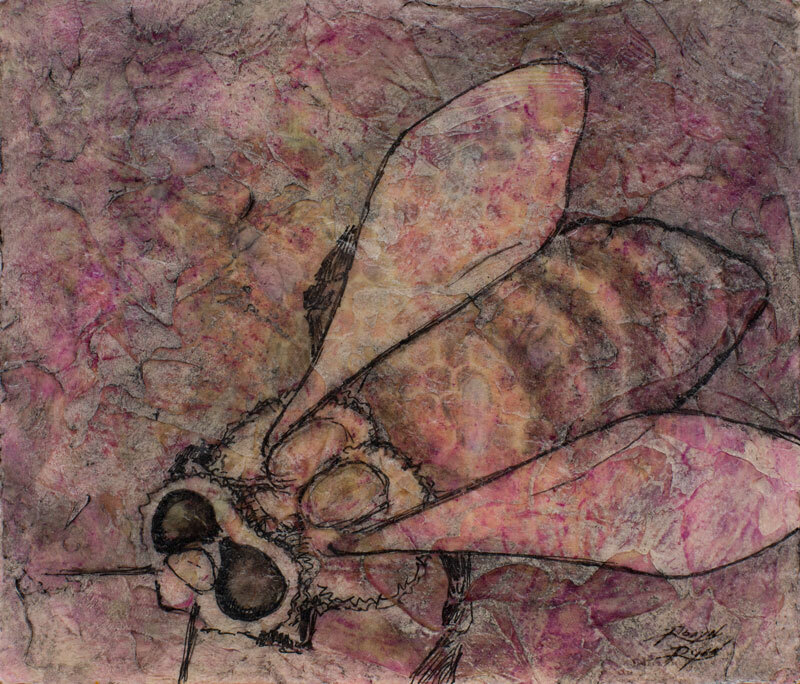 In this study I’ve started with a photo transfer of an image from my bee hives over which I’ve layered acrylic gel, paint, and ink. There are at least 4 distinct physical layers. If you look carefully you will see the underlying bees and honeycomb through the layers.